Our success story began in 1992 with the opening of South County Antique Mall, one of the first and largest antique malls in the country. Since then we’ve grown to six locations which includes: St. Charles Antique Mall, Warson Woods Antique Gallery, St. Mary Antique Mall, Antique Treasures and St. Clair Antique mall. 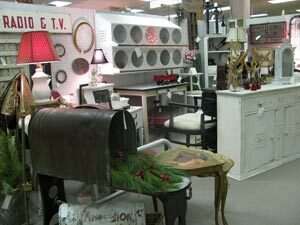 With 20 years in business our antique malls are uncompromising in our standards of quality in everything we do. Our friendly and caring staff is here to assist the collector, treasure hunters, decorator’s, dealers and world travelers - we have something for everyone. Each store offers an extensive range of antiques, collectibles and vintage from primitive to palatial. All locations are open daily 10:00am - 6:00pm . Please sign up for email alerts for changes to our hours throughout the year as well as our SALE and special events. And remember - ALL of our merchandise saves the environment! Want to become a dealer at one or all of our locations? To get started, we charge a monthly rental (rent varies per location) and a percentage of sales. It is that easy. We take care of the management, administrative and sales tasks so that you, the dealer can do what you do best... BUY!! !